These past few months I've been absolutely loving the way my lashes look thanks to my new drugstore HG mascara: Maybelline Lash Sensational. After a very long drugstore search I finally discovered Lash Sensational, which replaced all my previous favourites. Of course there will always be my two favourite mascara's to fall back on: Benefit They're Real and YSL Babydoll, but currently the drugstore definitely overrules the high-end. 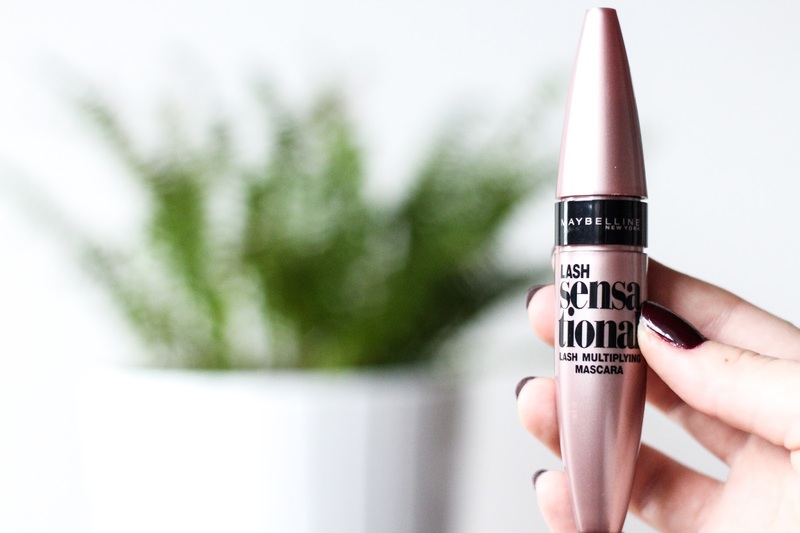 Absolutely everyone in the blogger community has been favouriting and raving about this mascara the past few months, so I decided to try it out myself to see what the hype was all about. I have quite long lashes naturally (thanks to my dad!) so I usually don't need that much work when it comes to mascaras. But something just clicked with this one. So why I love it so much? It's kind of everything that I love in a mascara. It gives my lashes length and volume, it separates and defines them without clumping. It also doesn't flake or smudge so it's great for a worry-free wear. Now I finally don't need to constantly check how my makeup is holding up throughout the day. The curved rubber brush features both short, densely packed bristles (inner side of the brush) as well as longer bristles (outer side of the brush) so it's easy to grab all the lashes, even the tinniest ones. It looks like Maybelline put a lot of effort into the wand, which I have to admit looks like a very cool wand. Because of the shape it can thoroughly comb out all the lashes for a fuller lash appearance. Maybelline Lash Sensational makes my eyelashes very beautiful and with the affordable drugstore price it's pretty much perfect. So good job, Maybelline. This one's a hit!